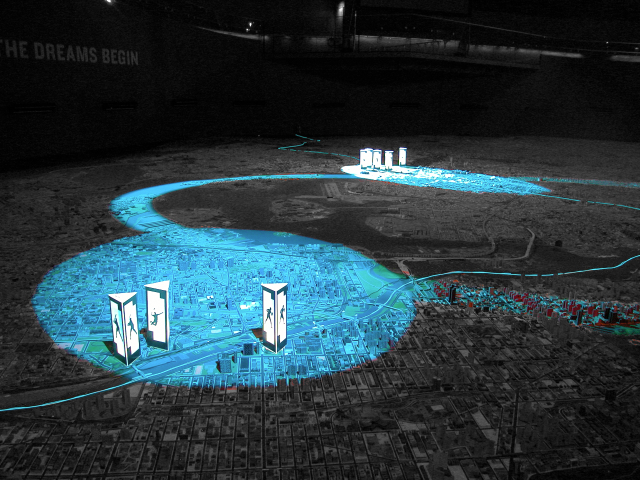 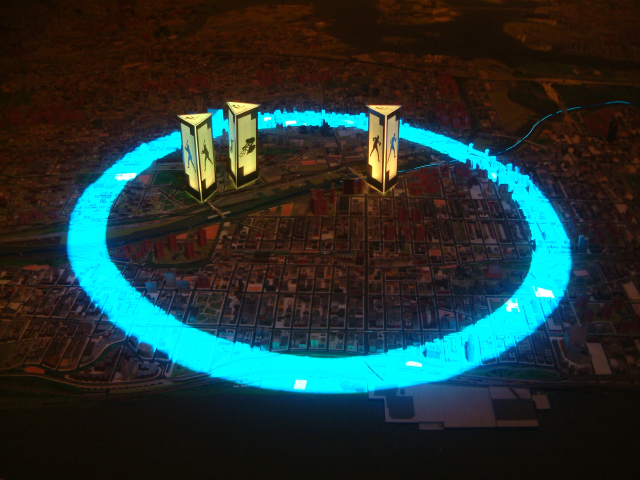 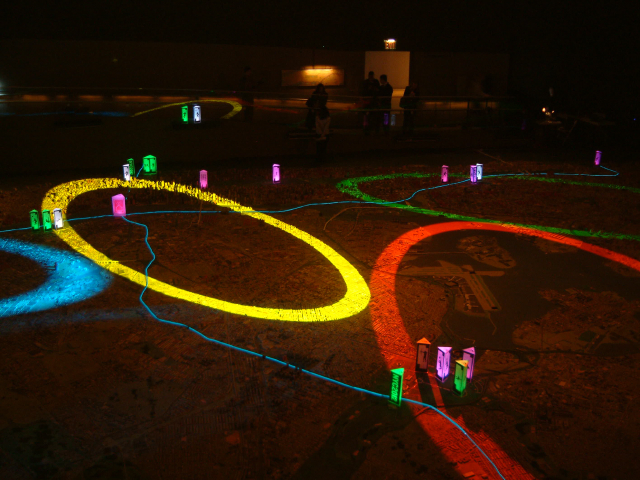 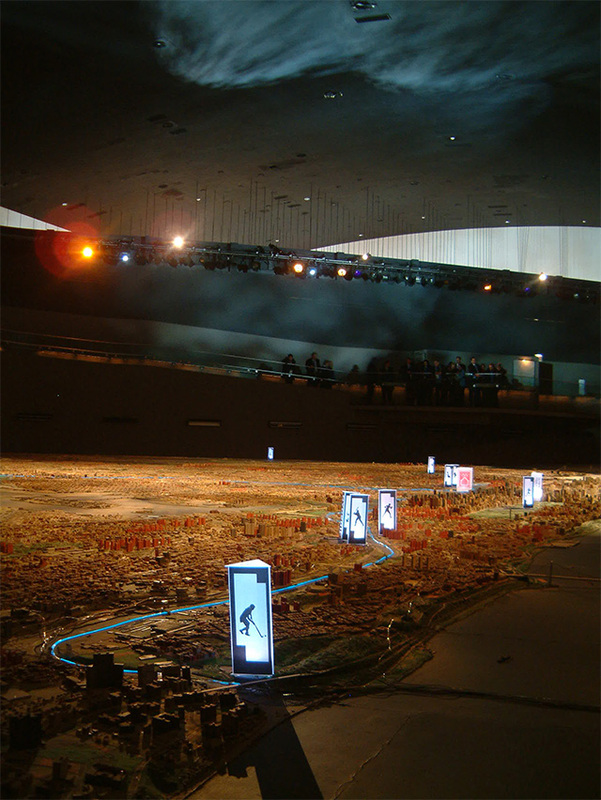 In their bid for the Olympic Games, NYC 2012 hired Whirlwind to transform the Panorama model into a live demonstration of the masterplan created for the games. 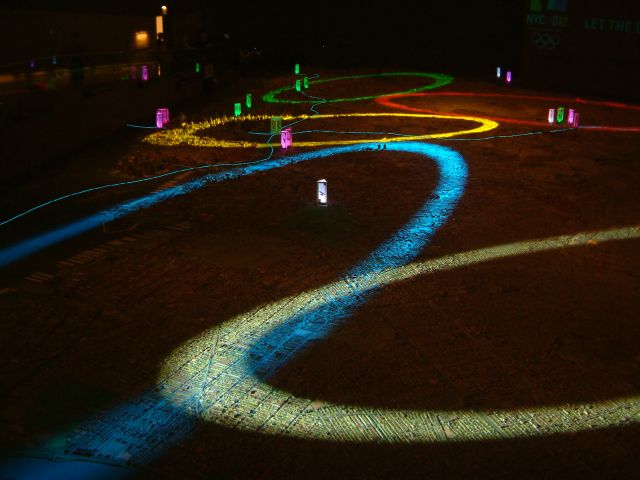 The projection of motion lighting, combined with programmable LED lights, strip lighting bring the 15,000 sq.ft. 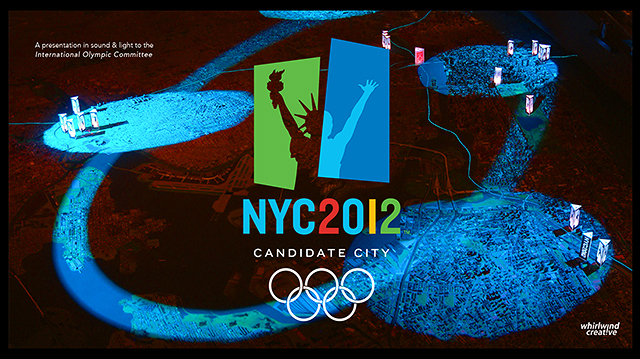 model to life for a 10 minute presentation to the International Olympic Committee. 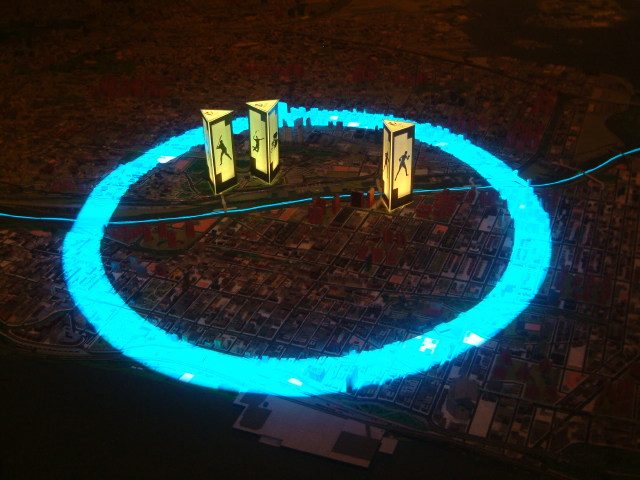 And then it was over!